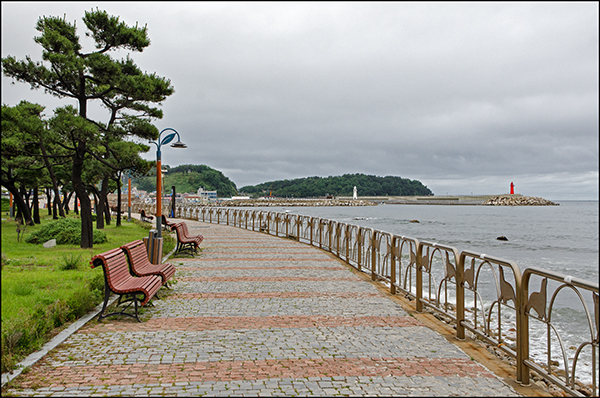 Only a couple of scenic hours by bus from Seoul is the east coast town of Sokcho. Most famous as the gateway to the phenomenal Seoraksan National Park, Sokcho actually has lot more to offer to the discerning traveller with a little bit of time on their hands. Like the spine of a petrified dinosaur, the hard granite boulders that comprise Ulsanbawi jut skyward, daring you to attempt its summit! 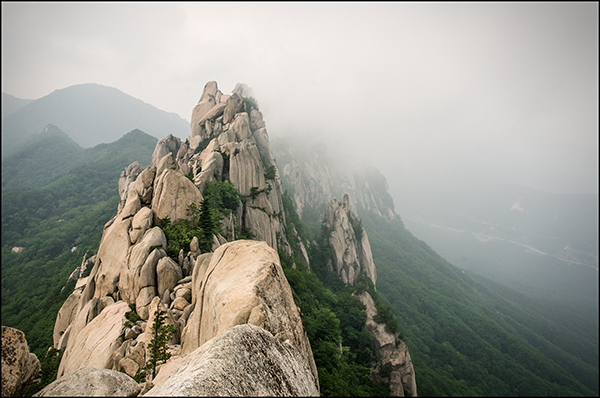 After arriving at the gates of Seoraksan National Park, it will take you around two hours to climb to the top. The trail is well made, but the further you go, the steeper it gets, culminating in 800 steps of calf-burning exhilaration! It may be tough, but the reward is worth the effort. On your return, take a breather at one of the numerous mountainside rest stops, imbibing a little of the local makgeolli, or perhaps recharging the batteries with a delicious mountain vegetable bibimbap! Westerners beware, the sundae on offer in Sokcho is not what you’d expect back home! 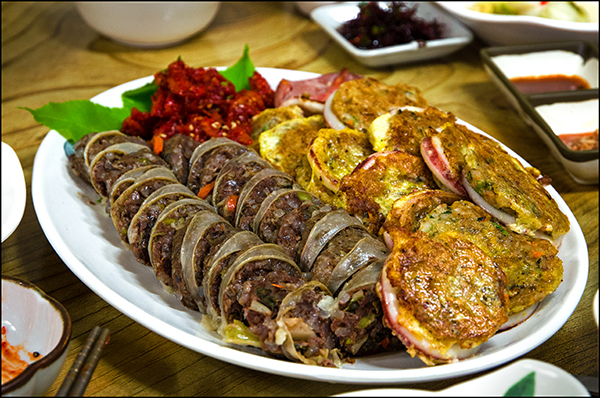 The traditional Korean sundae comprises a mixture of pig’s blood, barley, cellophane noodles and other goodies all stuffed inside a pig’s intestine and then boiled for your enjoyment. Tasty as it may be, if you visit the Abai Village in the shade of the pink and blue bridges you can try an even better local delicacy known as ojingeo sundae. Similar in concept to the traditional version, this one uses a squid tube as the casing, with a filling of noodles, chopped squid, tofu and vegetables. It may look a little bit strange, but words can not describe how delicious this dish is! Once you’re done, take the time to wander the narrow streets of the tiny Abai village. As the North Korean army retreated from South Korea in 1950, a large number of soldiers ended up trapped on the southern side of the newly established border between the two nations. With nowhere else to go, what began as temporary accommodation eventually became permanent. While many of the Abai have left the village in recent years, the traditions and foods of their northern homeland are still maintained and provided within the numerous restaurants peppered throughout the village. Only a short walk from the Abai Village is the Gaetbae, or hand drawn punt. For the princely sum of W200 you can either stand back and take in the two sides of the harbour, or if you feel like getting your hands dirty you can grab a hook and help pull the boat across yourself! Also located in Seoraksan National Park, the hike to Geum-gang-gul initially meanders through the forest along the verdant riverside. On passing the beautiful rock pools at Biseondae ‘Fairy Rock’, the trail again rises steeply, zig-zagging its way up the misty mountain side to the hidden Buddhist temple located inside Geum-gang-gul cave. The views are stunning and the spring water delicious and refreshing! Sokcho is a seaside town, and it’s pretty clear that they love their seafood! 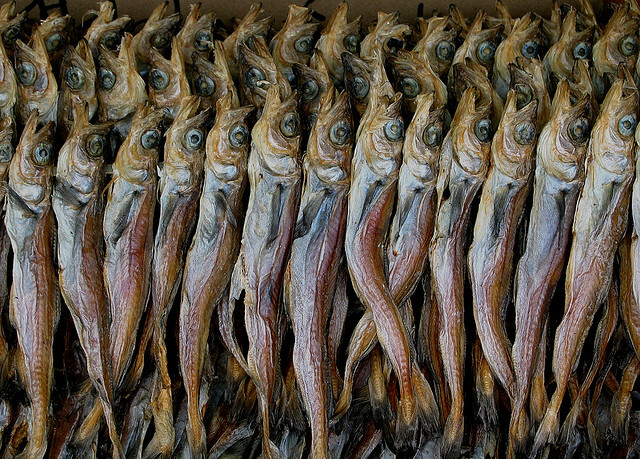 Whether it’s dried, fried, cured or pickled, if you have a hankering for fish then Sokcho is the place for you. 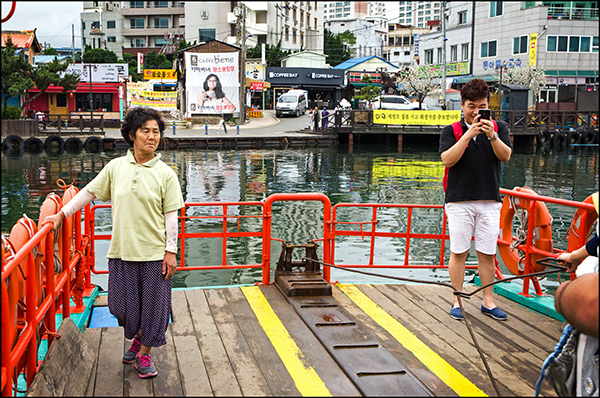 The Jungang fish market right in the middle of town is a fantastic experience, full of bustling patrons and vendors spruiking their wares. Do you really need a destination? 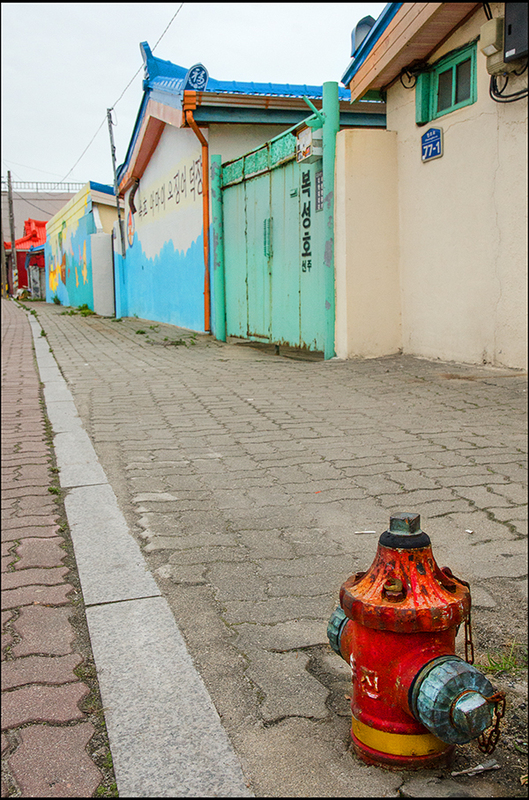 Get off the tourist trail and take the time to wander the suburban streets of Sokcho. Admire the tiny plots of land, meticulously planned and well looked after. Take some photos of the numerous murals that adorn the walls. Smile and say hello to one of the local children, keen to practice their English! This is the real Sokcho, and one that you will never forget. If hiking to the top of Ulsanbawi is taking things just a little bit too far, consider stopping halfway at the fantastic Gyejoam Hermitage. Relax with a cool drink, absorbing the sounds of monks chanting and watching your fellow hikers unsuccessfully attempting to topple Heundelbawi (Tottering Rock). The city of Sokcho is spread out along the coastline of the Sea of Japan, providing numerous opportunities to stroll the foreshore. Sandy Sokcho Beach is only a short walk from the centre of town. If you were keen for a longer excursion then you could easily extend your itinerary to continue south, past Oeongchi Hill and down to Daepohang Port where the sashimi is reputed to be of excellent quality. Further still and you will find yourself on the outskirts of town exploring the many artistic sculptures of Sunrise Park with the sound of the crashing waves in your ears. 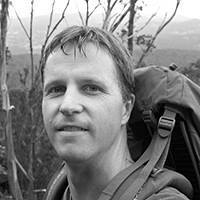 Individually, Andrew and Karen are just two average Tasmanians going about their ordinary, mundane lives. But give them a chance to travel, eat or drink (preferably all three!) and, just like Chucky, these two clowns come to life!! Drop by forkandfoot.com to join them on their adventures! 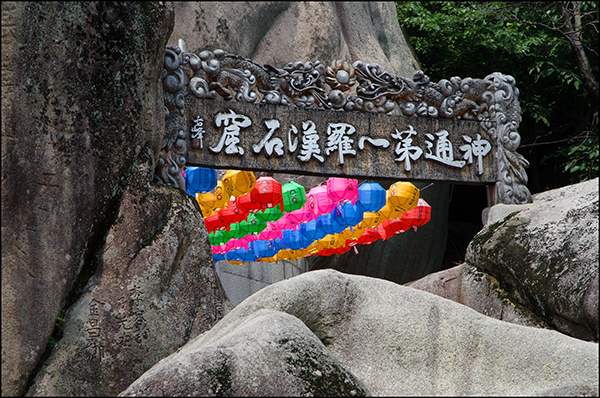 This entry was posted in Gangwon-do, Guest Post, Sokcho and tagged abai village, gangwon province, gangwon things to do, sokcho beach, sokcho korea, things to do in gangwon-do, Ulsanbawi mountain, what is sundae by Meagan & Dave | HappilyEverExpat.com. Bookmark the permalink. 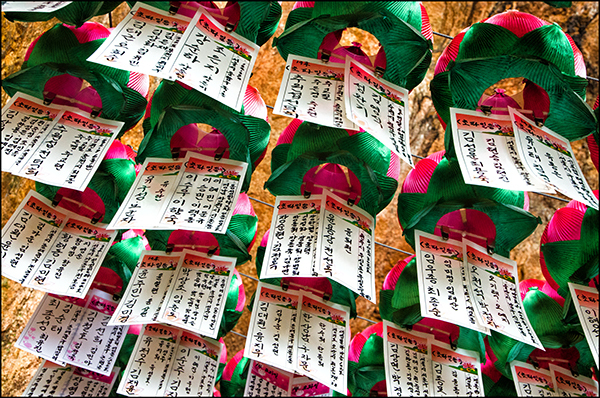 I love Sokcho for many reasons and really enjoyed reading this post as well. Seoraksan is where I proposed to my wife so that area is quite special to me. It was on that very hike to Ulsanbawi where I ask her so seeing that name brought back some awesome memories of our time there. I’ve not gotten a chance to stop by the markets there but would love to go back and see them. Thanks for sharing this. I’ll certainly keep these things in mind for next time. Take care. I am planning to go there on February, can you tell me what time last bus from sokcho to seoul? Cause after 4N in Seoul i will try short run to Sockho just for 1D1N n get back to seoul other day. Sorry, I am not sure what time the last bus runs. Perhaps you can contact the Korea Tourism Organization to help answer your question. Have a great time! Sorry for my very late replay. Thanks for the very helpful information! And I’m glad you found the post useful during your time in Sokcho! Nice. Thanks for sharing I’m planning to visit Sokcho this May. I’ll definitely try out the places you mentioned. That’s great. I’m so happy you found this post helpful. Have a great time in Sokcho! 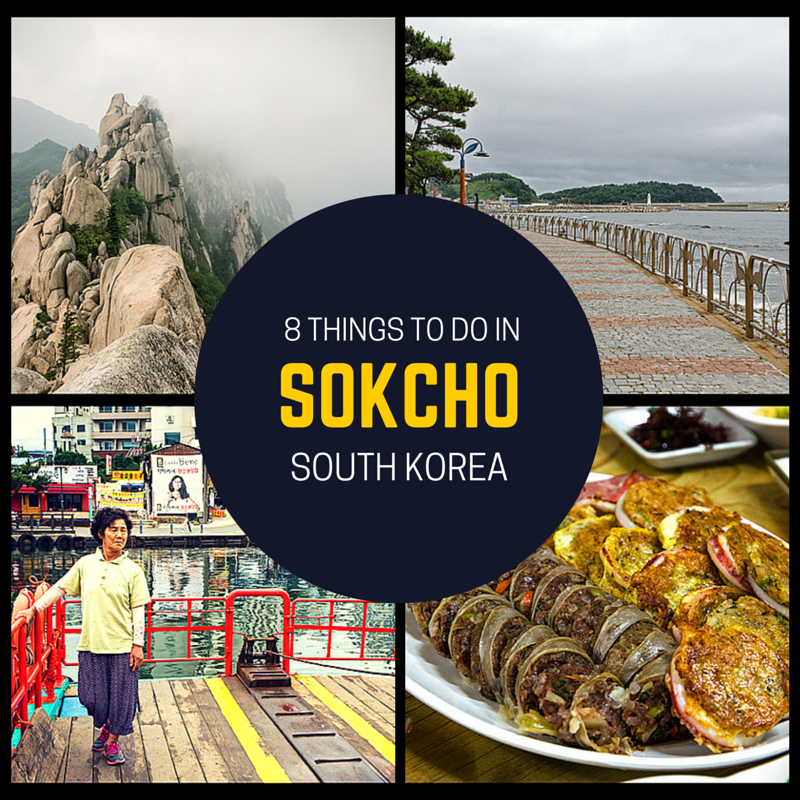 I’m visiting Sokcho this fall, thank you so much for this beautiful blog-post!